2 Day Women's Prosperity and Spirituality Conference. 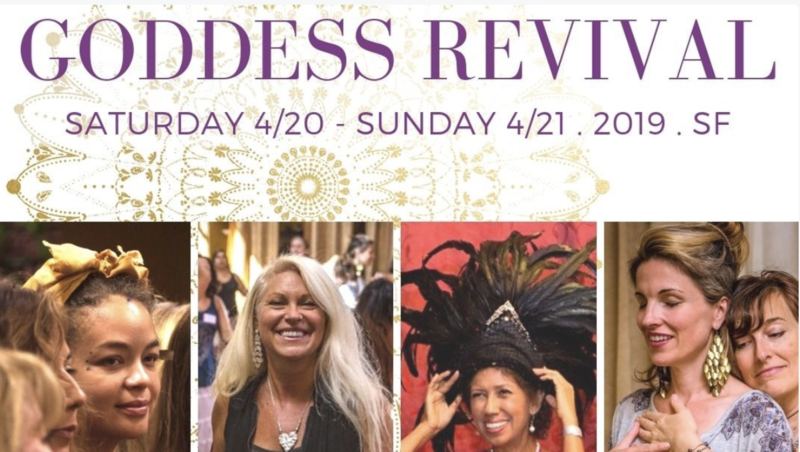 Goddess Revival is a nourishing FEM Talks gathering, and a sanctuary for Spirit-Driven women who are ready to elevate their Higher Calling and live NOW as the Holistic Leaders of tomorrow. We are in great need of aligning our values, our sovereignty, our visions, and our missions with the support of tribe and sisters. We gather together to share resources and wisdom of feminine prosperity and feminine leadership, making it easier to live as powerful women trailblazers, mending our planet together. Join with women committed to collaboration, philanthropy, and sisterhood. Our deep feminine intuition is guiding us to link arms with soul sisters who can collaborate with us. We, women lightworkers know we are destined to help mend the earth, our arms linked together, manifesting hugely and consistently. Join us for a weekend of celebrating inspiring and intelligent women lightworkers and influencers. CELEBRATING THE ANCIENT FEMININE ROOTS OF EASTER. In ancient times "Easter" was a goddess celebration. From Kali, Coatlicue, Ostara, Oya, Olokun, Ishtar, Eostre, Hathor, Astarte, Inanna, Aphrodite ... 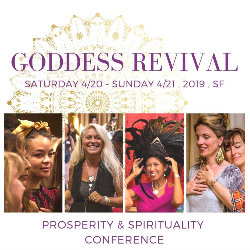 This event is a celebration of feminine wisdom AND honoring women in the healing arts which go deep in every ancient culture across ALL of the continents of our globe . Located 1 block from BART in SF. A beautiful art gallery and workshop space with multiple indoor temples. This is the perfect place for the feminine to luxuriate and to expand together. ... This indoor sanctuary will nourish your feminine soul. ... You will know right away that this will be no ordinary weekend. This is a place of positivity, healing and rejuvenation. This is a safe location, and very easy to get to. Our 2 day event will take place during daylight hours, so you will feel free to BART or Lyft right to our doors. * Address and parking info emailed to you immediately upon registration. + Nourish and replenish yourself as a deeply centered woman, who leads others in light during these tumultuous times. + Link arms with a positive sisterhood of women committed to rise beyond the noise of the moment to take a stand for the protection of a culture of compassion, peace. + Awaken your deepest medicine and move forward with clarity - Activate yourself to make the impact so deeply needed now. + Align with a community of women who support your vision and mission - Connect deeply with your soul sisters in a tribe of support, positivity and collaboration all weekend and beyond. + Step forward to be the emboldened healer, facilitator and woman leader the world is now asking you to become. + Let go of doing-it-all-alone - Come away from this weekend sourcing your life with divine guidance and with community every day, even in the midst of current upheaval.